Indian police said "leftover explosives" were responsible for a blast in Kashmir that killed at least five civilians Sunday as they protested against government forces shooting dead three alleged militants. Protesters had surged the site of a shootout in southern Kulgam town, chanting slogans against Indian rule and hurling rocks at troops as they fired at unidentified gunmen. Three alleged rebels were shot dead in the exchange but a subsequent explosion at the scene killed five demonstrators, said inspector-general of police Swayam Prakash Pani. "Protestors ignored warnings and soon overwhelmed the site, where five died after being hit when leftover explosives went off," he told AFP. At least 30 other civilians were wounded in clashes with police, another officer and witnesses at the scene said. Mobile telephone services were suspended in the area as protests spread. Many civilians in Kashmir support rebels who have been fighting for decades for independence or for a merger with Pakistan, which like India also claims the divided Himalayan territory in full. India has some 500,000 troops deployed in Kashmir. Popular unrest has been rising since 2016 when a charismatic young rebel leader was shot dead by Indian forces. More than 100 civilians died in subsequent weeks of protest. A civilian was among four people killed last week in a shootout in the heart of Srinagar, the main city in Indian-administered Kashmir. Tens of thousands, mostly civilians, have died in the decades of fighting across Indian Kashmir. 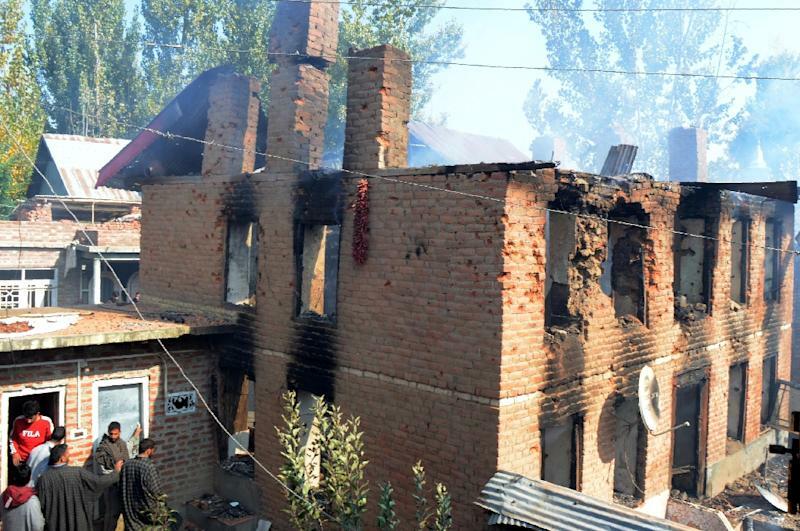 This year at least 186 militants, 80 civilians and 75 government forces personnel have died in clashes across the Indian controlled part of the territory. India accuses Pakistan of arming and training militants to attack Indian forces. Pakistan says it only provides diplomatic support for Kashmir's right to self-determination.